This is a networked, collaborative step sequencer, first used in the PLOrk piece "Non-Specific Gamelan Taiko Fusion" (see concert) by Perry Cook and Ge Wang. When played in a network, there are multiple client machines, each with its own non-specific face, and a central server. The face consists of a grid of squares and a color palette. 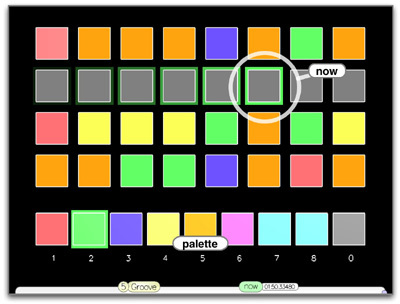 Each color can be mapped to a different sound or to silence, with a potentially different mapping for each client, controlled by ChucK code. Thus it's possible to customize things. 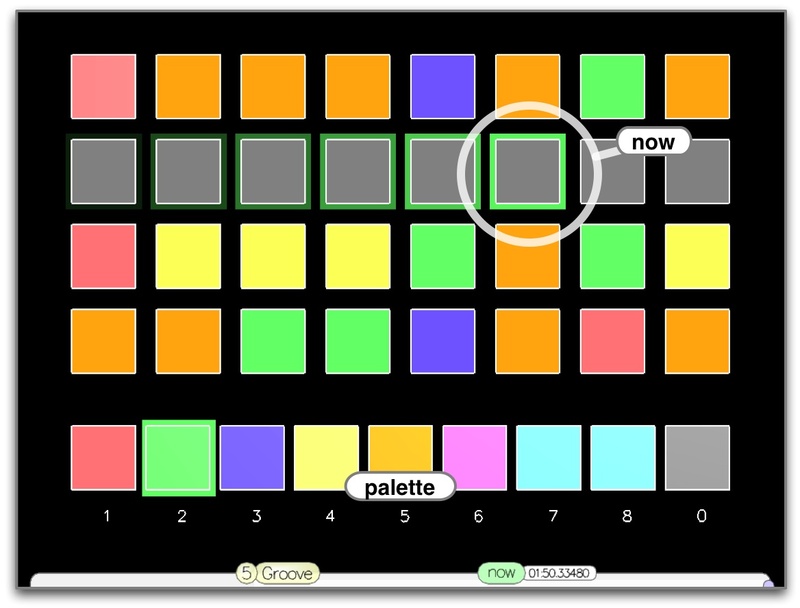 A square is colored by selecting a color from the palette (with a mouse click or the associated keyboard character) and clicking on the square. Gray and 0 are reserved for silence. The server moves through the grid as specified in the ChucK code for the server program. The client responds to which grid element is active, such as by playing the appropriate sound. The server program is also in ChucK, sending OSC messages. Also customizable. the following is packaged with the audicle distribution. (assuming the server is also one of the clients.